Star Trek geeks of the world are all heading to Las Vegas thanks to one adventure based in the Las Vegas Hilton. The Star Trek Experience is an interactive adventure that is based on the world famous science fiction television series by the same name. As you enter the experience, you will be thrown into the 24th Century. In this futuristic world you will be able to see and touch all there is to see in the future. The Star Trek Experience includes two, multi-million dollar completely interactive adventures for you to enjoy. The adventures include Klingon Encounter and Borg Invasion 4D. In the Klingon Encounter you will have a chance to go on a Star Trek mission. Well, that is if you think you can handle the adventure. You will be going to war with the galaxy's most dangerous warriors! Your mission will be to evade the Klingon warship as you blast through galaxies at warp speeds on your shuttle craft. This adventure lasts 18 minutes. Borg Invasion has been listed as the most ambitious 4D creation that has ever been conceived. Using live actors and amazing special effects you are offered a completely realistic Star Trek experience. You will be able to tour a research facility in the future. Meanwhile, the frightening drones that are part of the Borg Collective will be attempting to capture and absorb the guests in the facility by using state of the art cybernetic technology. 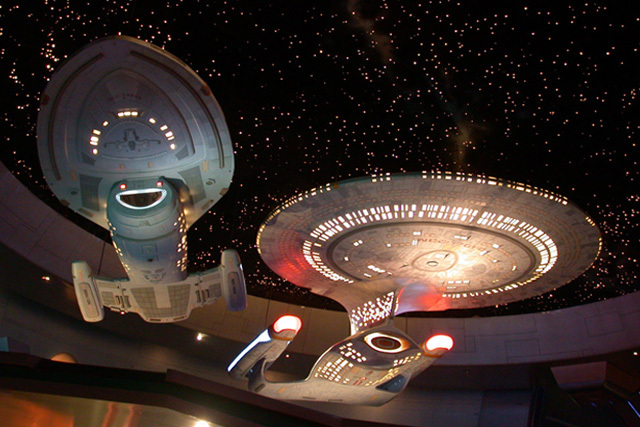 The main reason I go to Vegas and stay at the Hilton is because of Star Trek Experience. I love the atmosphere and the people that work there. The place is very very clean. I like the food at Quark’s and am sorry to hear that STTE may close at the end of the yet, because I haven’t tried some other items on their menu. If it does not my plans are to spend Christmas there. If it does I will not be going to Vegas. I want to stay at the same time I spent at Star Trek the Experience was a wonderful experience. I hope to make it to experience the Star Trek Experience again this year. It would be a sure shame if this one of a kind event closed. I would promote the experience as a wonderful time for the whole family. We visited Star Trek the Experience last year from Australia. We spent the whole day there and had the most FANTASTIC time. The timeline details were fascinating. The behind the scenes was very very informative. The characters around the place were such fun to interact with. And it was wheelchair friendly-nig bonus for me. We are so sorry to hear it is closing down. We were saving up to come again. RIP Star Trek The Exhibition. I have been to the Experience many times over the years and I always find something new to enjoy along with all my previous fun. I loved going onto the bridge of TNG’s Enterprise. And what a hoot it is to see all the characters around from all over the galaxy. A must do is to eat at Quark’s, but watch out the owner may try to sell you a napkin. I am very disappointed that the Star Trek experience is not available. I have been pumping up my family ,most of whom are flying for the very 1st time, about this attraction. This was going to be one of the major highlights of our trip. The 1st time my husband and I visited Vegas we came to the Hilton and had a blast at the Star Trek Adventure and have talked about t every since. Please open back up. If this is due to the financial crunch just lower your prices a little bit and maybe more people could afford to come. 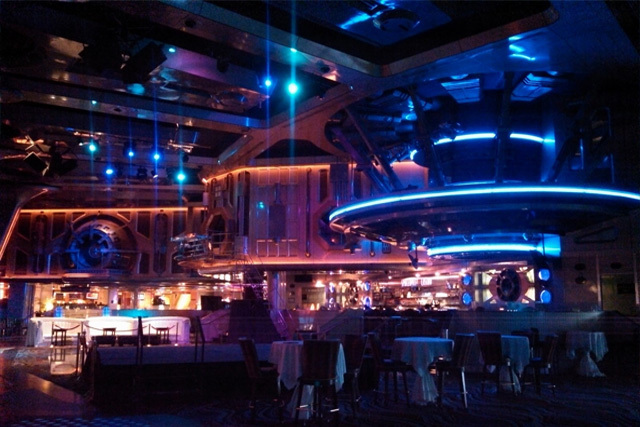 Me and my friends go to Vegas every year after some times twice a year and always made it a point to visit the Hilton’s Star Trek the bar is the funnest after you do the virtual ride. I was there the last night open just by chance and am very disappointed to see it leave. It was one of my highlights going to Vegas over the last 10 years. I was disappointed to hear the attraction was closing. I am planning a trip to Vegas and wanted to was going to book rooms at the Hilton until I learned the experience had closed. I guess we stay at Treasure Island. Say it isn’t so! Our group was looking forward to seeing this attraction. I would have thought with the new movie it would have been very popular. We are all disappointed. My wife and I come to Vegas 3 or 4 times a year & always stayed at the Hilton because of Star Trek Experience & Quark’s bar. We no longer stay at the Hilton. We stay every where else. To the Hilton you made a big mistake, bring back The Experience & Quarks!! !